Our team approach adds perspective to all we do and we believe provides increased benefits to our clients. WJ Wealth Management is a Registered Investment Advisor. We are held to the fiduciary standard which means your interests must always come first. Roger Wilson and Jeff Jones have been in the financial services business for over thirty years apiece. Those decades have seen many changes in the investment world. As a firm we are prepared to help you with traditional full service as well as direct online investing options. Our clients are business owners and individuals preparing for and enjoying their retirement years. We cherish our relationships and we are always happy to welcome new clients to the WJ Wealth Management family. Organize your assets and documents in one safe place. Always available online wherever you are. Invest for your future with our new online platform that combines the benefits of a personal financial advisor with sophisticated technology. 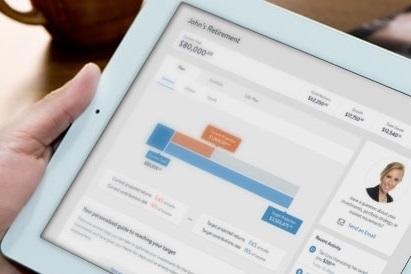 You still get the WJ Wealth Management experience and expertise, but with the added convenience and transparency of an automated investing solution.Guided Wealth Portfolios (GWP) provides you personalized, objective investment advice through an online platform with 24-7 access to your accounts.